Just a quick commission update. This time the order is for a Littlest Sweet Shopper in America and she wanted 4 cute doughnuts, a Hello Kitty latte, and a box for the doughnuts. The hand made box is a custom size. I up-cycled a miniature plastic cup and filled it with my own secret recipe to create the latte foam. Commission 4 dougnuts, custom box and Hello Kitty latte. I will also be selling a selection of miniatures and accessories at the Norwich Makers Market. Please come and support the local crafters of Norfolk. There will be plenty of lovely hand-crafted gifts for everyone. 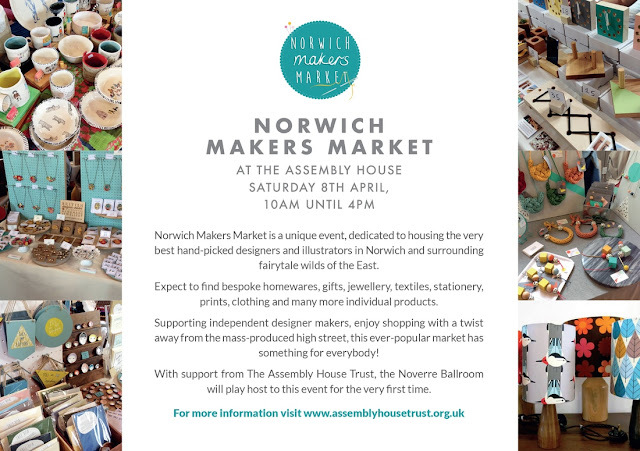 The Assembly House is also a beautiful venue and worth visiting if you happen to be in Norwich on the 8th April 2017. That's all for now. I am currently busy with a commission and also getting ready for the craft sale so see you next month.